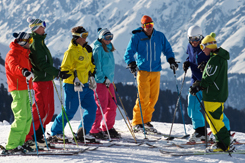 Now one of the world's top ski coaches, Dave's introduction to skiing was at the age of eleven when a pair of skis bought from the local garage were strapped to his boots and he shot down the Derbyshire hills to the rear of his house. 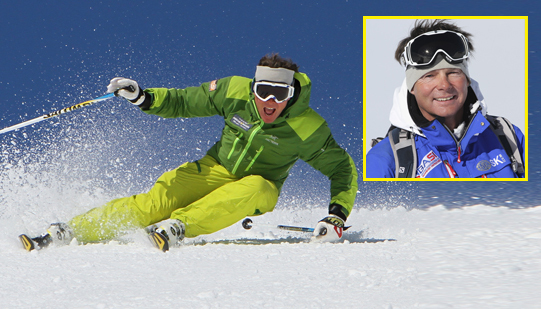 From those early beginnings he has progressed to international level through both the British and Canadian ski teaching system and he is also a qualified race coach. 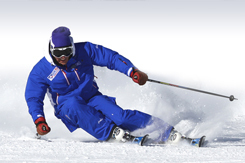 He is a BASI Trainer and member of the British Demonstration ski Team and represented the UK at the International Ski Instructors Congress in Crans Montana in January 2003. 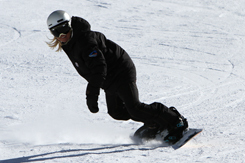 The purpose of the congress is to raise the levels of Ski Instruction internationally and to share teaching methods across the globe. 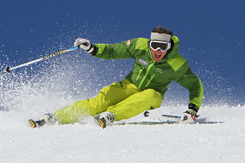 Dave has instructed extensively throughout Europe, the USA and Canada, the last 20 years being based in Val d'lsere. He is always enthusiastic and adds a straight forward teaching style to this wonderful sport.